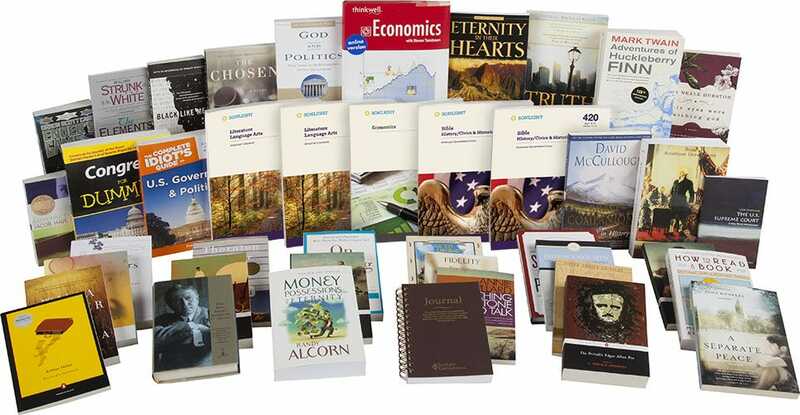 Our first homeschool graduate, Alexandra, found her last year using Core 400 to be especially challenging with the intellectually provocative selection of books in the program. We have to make sure her brother Austin (16) is plugged into his iPod when we discuss her books using the awesome, newly redesigned high school Instructor's Guides because he answers too many of her questions from the knowledge he has gleaned from Cores D, E, F, G, H and now 200. Having our kids remain good friends throughout all these years has been worth every hard-earned year of homeschooling! Alexandra (19) is headed to college, where she plans to study Psychology. The B family has used Sonlight since 2005.